I'm about to blow up your newsfeed! So true! 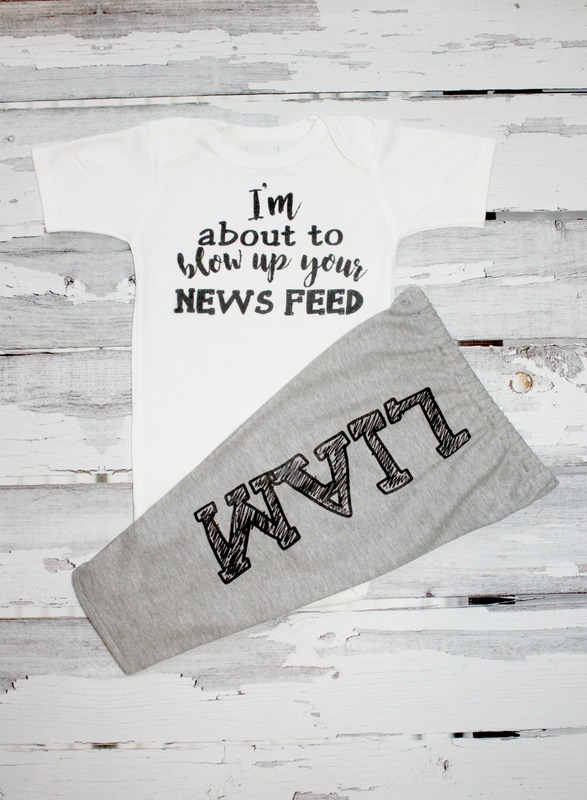 Yes baby will for sure be blowing up some newsfeeds! Options to include personalized pants or personalized hat. Infant sizes will be custum made on an infant bodysuit with snap bottom. 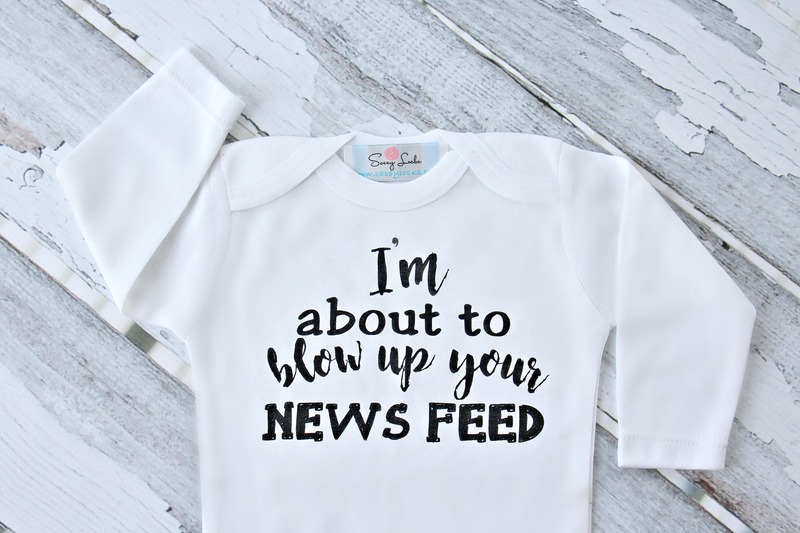 Toddler sizes will be custum made on a toddler T-Shirt. 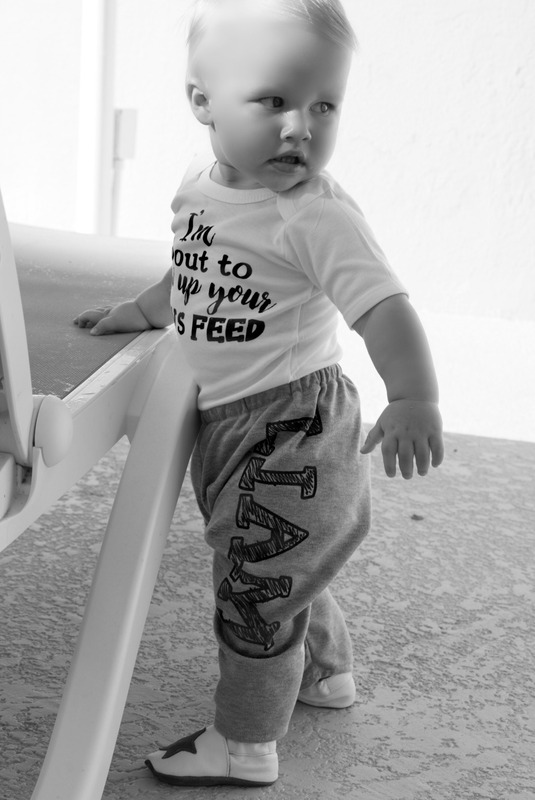 Your custom garment will stand the test of Baby and time. To care for your masterpiece simply wash on delicate as you do all baby clothes in cold water. DO NOT BLEACH. Tumble dry on low heat.